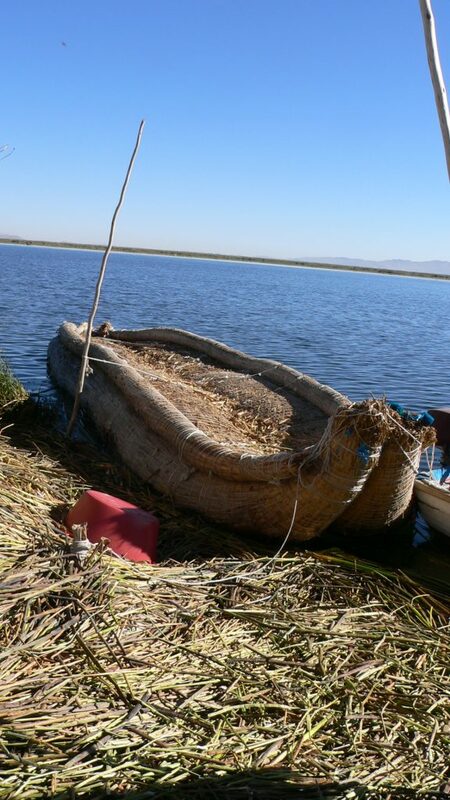 In the Andes, stretching out between the land of Bolivia and Peru is Lake Titicaca, South America’s largest lake. 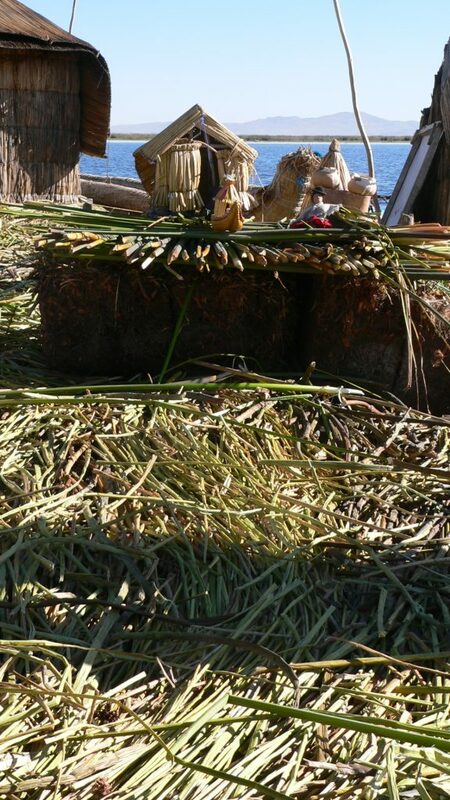 On Lake Titicaca, the Uros people make their islands by layering Totoro Reeds. They weave the reads together and pile them in layers. The bottom layers rot so they pile new layers to maintain a sturdy island base. When I visited, I thought the islands felt squishy underfoot. I didn’t get inside any homes but I hope the beds are raised off the floors. I wonder if the Uros pay real estate taxes. With the housing prices in New England, maybe we’ll be manufacturing islands soon! 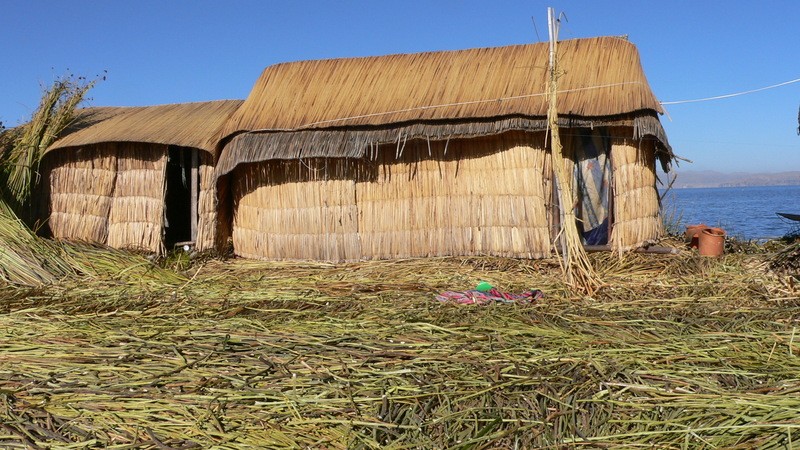 Homes on an island of Totoro Reeds. 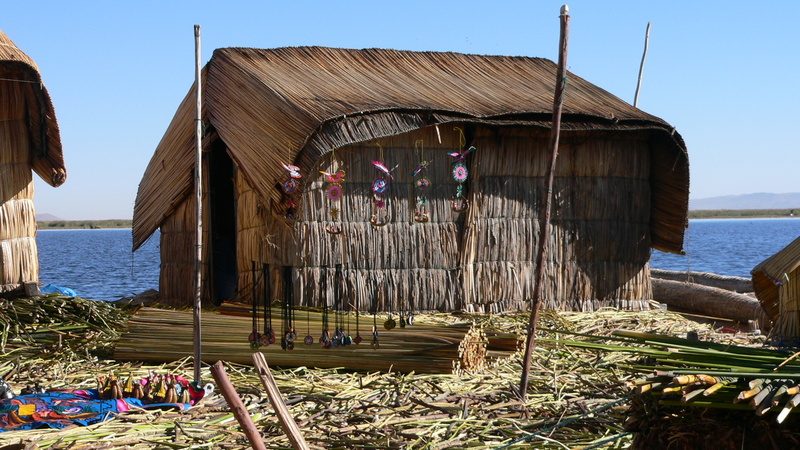 The Uros made cool canoes of Totoro Reeds too. 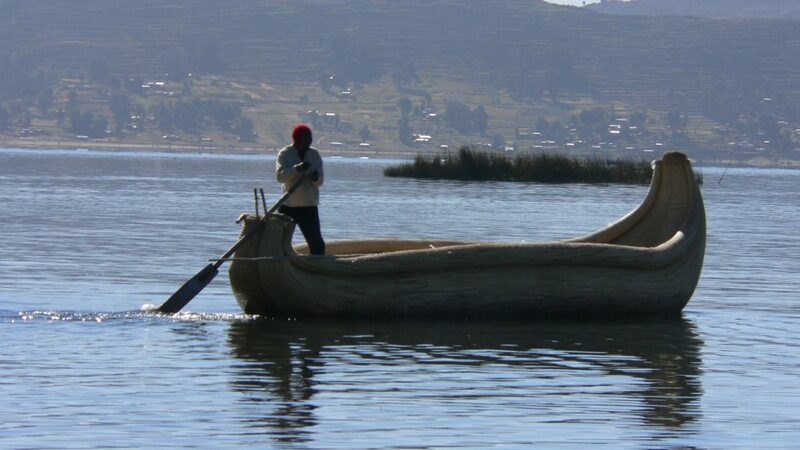 Traveling in their canoes, I stayed dry.